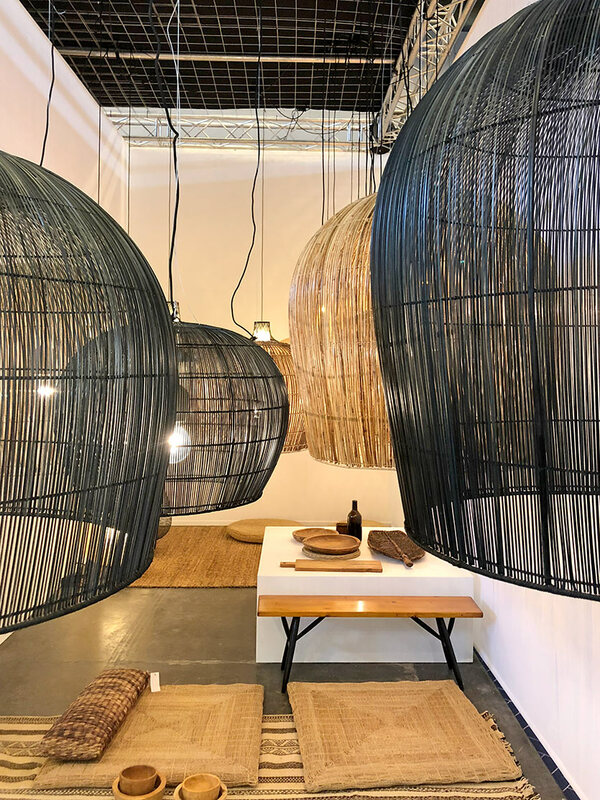 Today we want to share our favorite home decor finds from Maison & Objet. 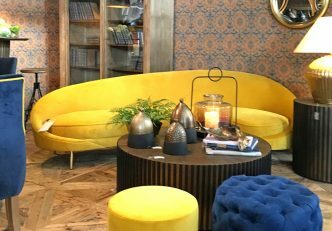 Let us take you back to Maison & Objet Paris 2018 and to the exciting brands and products we felt stole the show! There is one brand that stood out and impressed us when it comes to silk flowers (or fake plants as we say more commonly). 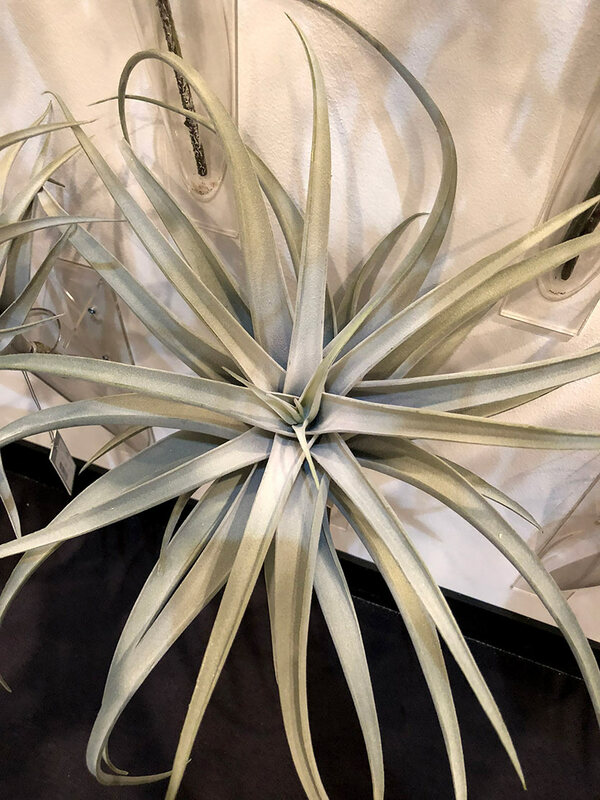 Silk-ka wowed us with many varieties of flowers, trees, leaves and even (very popular right now) succulents. 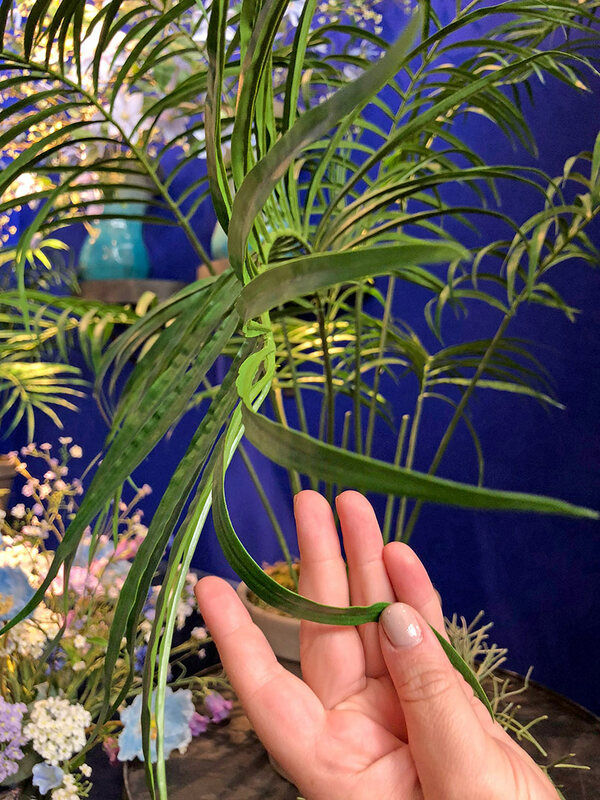 New technologies have emerged and in some cases, as we touched the plants, we could not tell if it was real or fake. 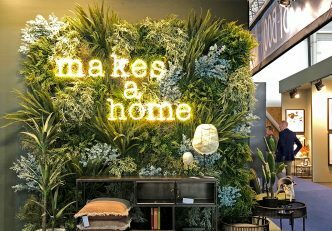 Thumbs up to this brand who took false greenery to a whole other level! This particular one is a trend alert as well, because we saw it everywhere! 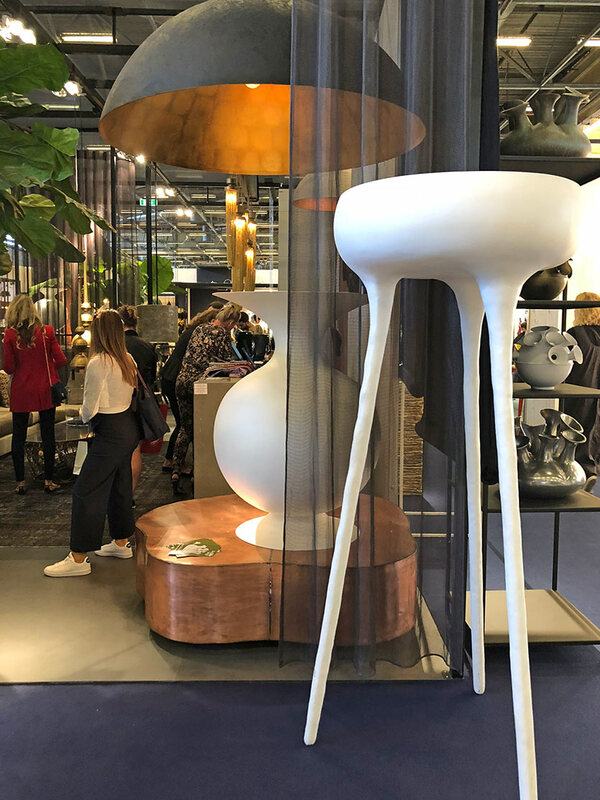 Not only where brands at Maison & Objet using pedestals to display their products, but they were also showing pedestal bases as accents for the home. Oh and forget the typical solid and boring pedestal, these were original in function, shape, and size! Many showrooms used two bases and placed them close together as if to make a cluster. 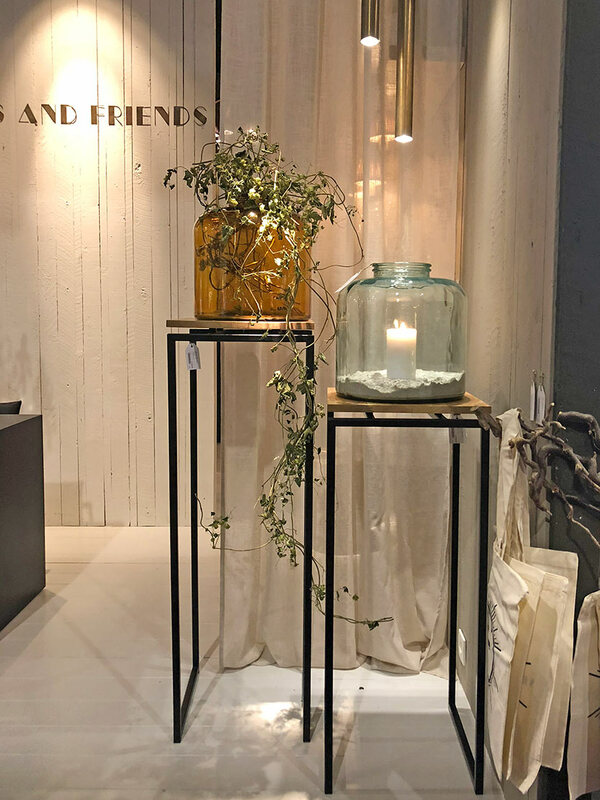 Then, if it didn’t have a matching accessory already (such as a candle or glass vessel insert), they paired it with a large vase, greenery or object on top of them. Check out our favorite examples below. It seems like home decor brands are pushing the scale of objects and we could not be happier. 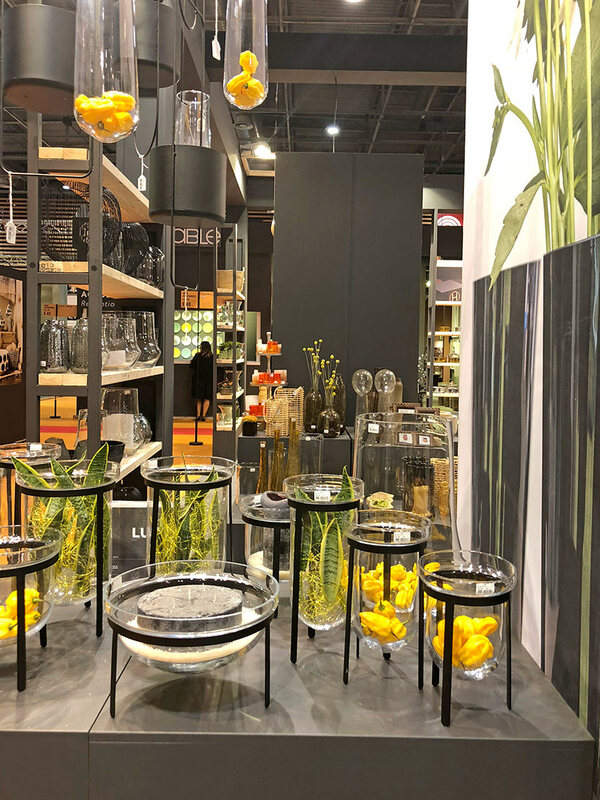 Super large planters and other extra large accessories were a big thing at Maison & Objet. Some brands have XL light fixtures as well. Do you know that it is a design feature we love to use in homes we create? If you have an overscale chandelier or extra large dome light fixture it becomes the focal point of a space. Typically you don’t need much more to make that particular space feel “designed”. It’s all about choosing the right overscale element for your space. We stumbled upon this cool brand that manufactures 100% cotton rug washable in a (regular 4kg) laundry machine. We can imagine our clients loving that concept, not worrying about stains on their kids’ bedroom rugs. The design that Lorena Canals are fresh and eclectic. It has that bohemian vibe that is so current right now. We loved all the textures as well. This brands also offer 100% washable cushions by the way! Oh, we’re super excited to be revealing one of our favorite findings at this year’s Maison & Objet: leather goods by Giobagnara. This brand truly shined. Their craftsmanship and attention to detail is over the top. 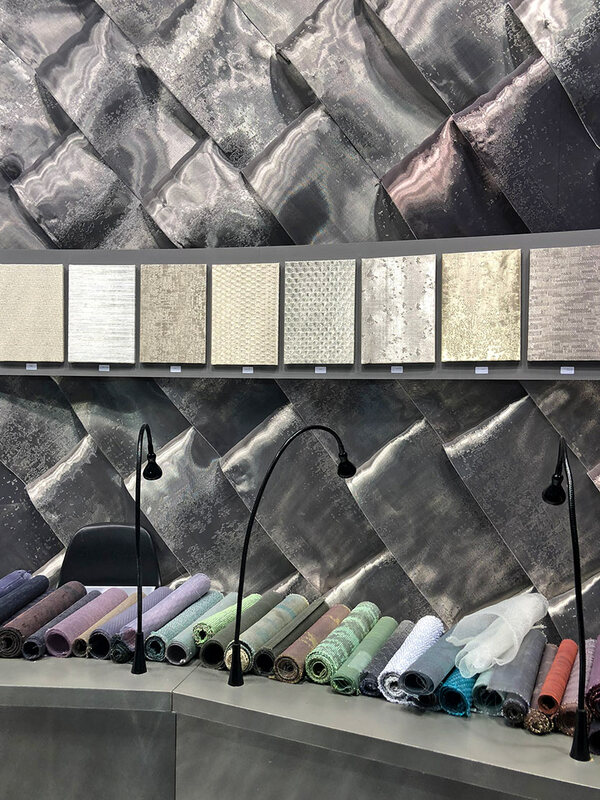 We loved the variety of products they offered and could see us proposing many of the collections to our clients here in Miami and abroad. 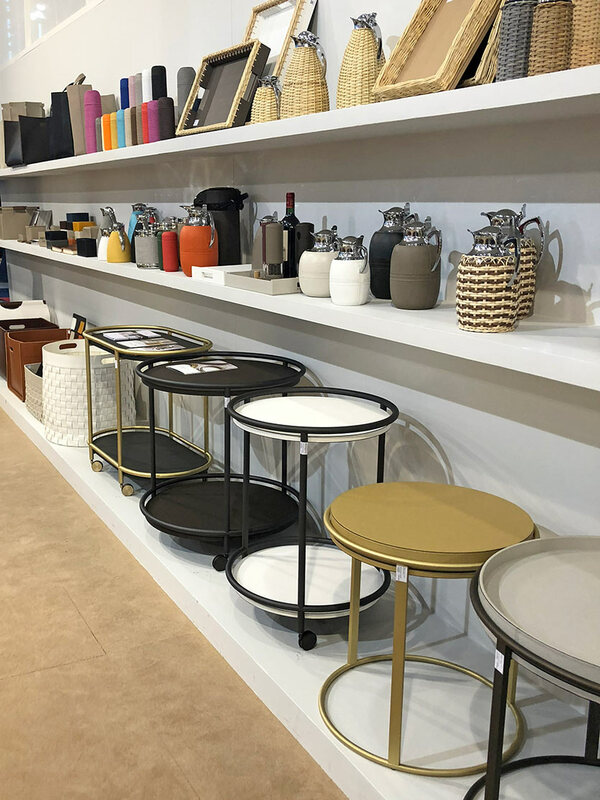 From baskets to trays, boxes, small furniture pieces and even customizable leather furnishings for the office, this brand knows how to work leather. The pieces feel and look expensive; we simply loved it! 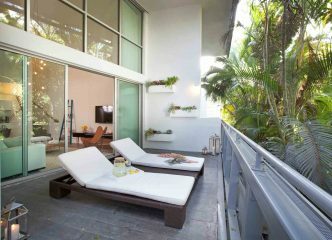 Have you checked out our latest beachfront residence (Sunny Isles Beachfront Condo) on our website? Did you see the twisted 3D wall sculpture we installed atop a headboard in one of the bedrooms? Take a closer look, it is a metallic fabric that twisted in the shape we wanted, to make it look like an organic 3D wall sculpture. In Paris, we discovered the brand LCD, who specializes in this type of product. We enjoyed seeing the large extent of their collection. The colors they offer are endless. Which designer did not dream about having a cement accent wall, with a texture or pattern, in their project? 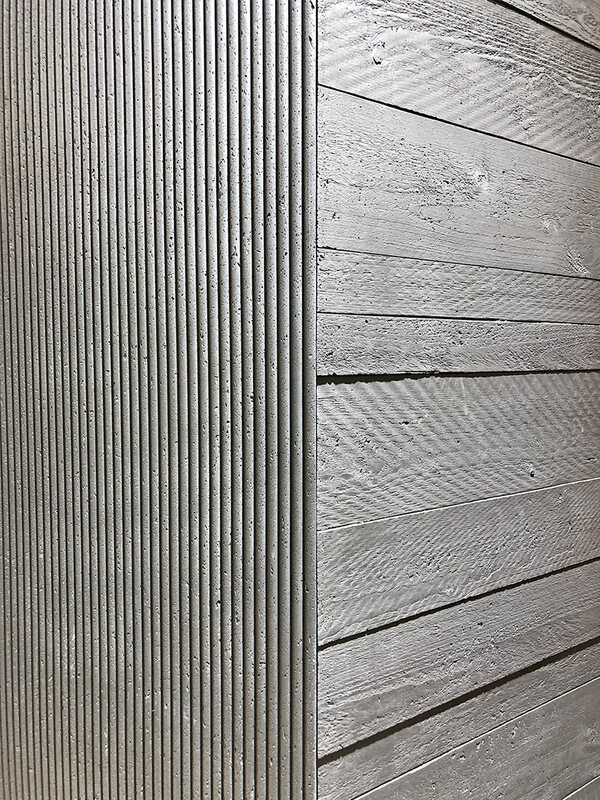 Typically the cost and installation is too complex and you end up going for a micro-cement layer applied to the wall, to make it look like concrete, are we right? Well, Concrete LCDA has a product that will make your wildest, textured, cement wall dreams happen. They offer lightweight boards with a genuine concrete layer in the front. The panels come in different finishes and textures. They can even be installed on the ceiling. Another favorite home decor and oh so important item we want to share with you today is the bath accessory. Or should we say bath accessories? 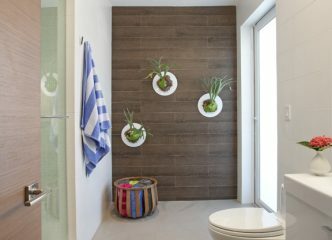 These pieces are key to make a bathroom space complete and sometimes can be difficult to find. 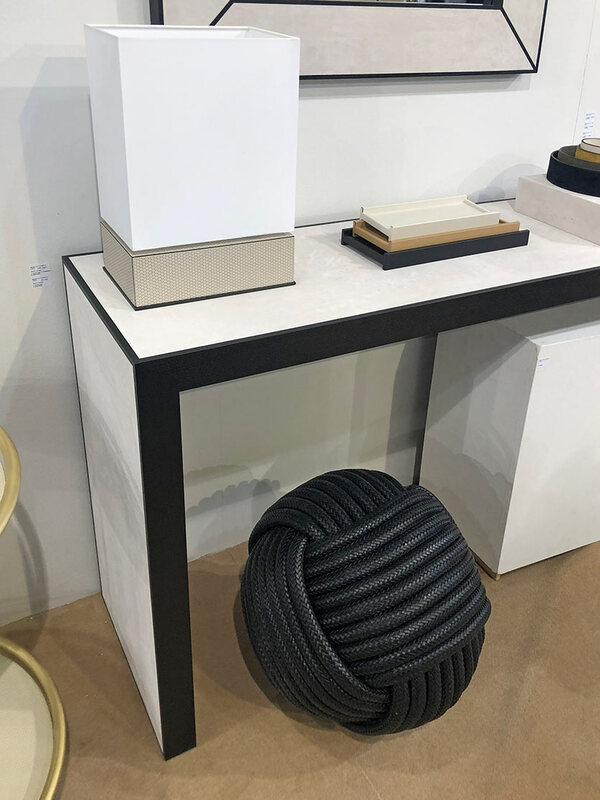 At Maison & Objet 2018 we loved the collections that brands like Yamazaki, Windisch, Aquanova, and Andrea showcased. With a great variety of pieces, they impressed us. 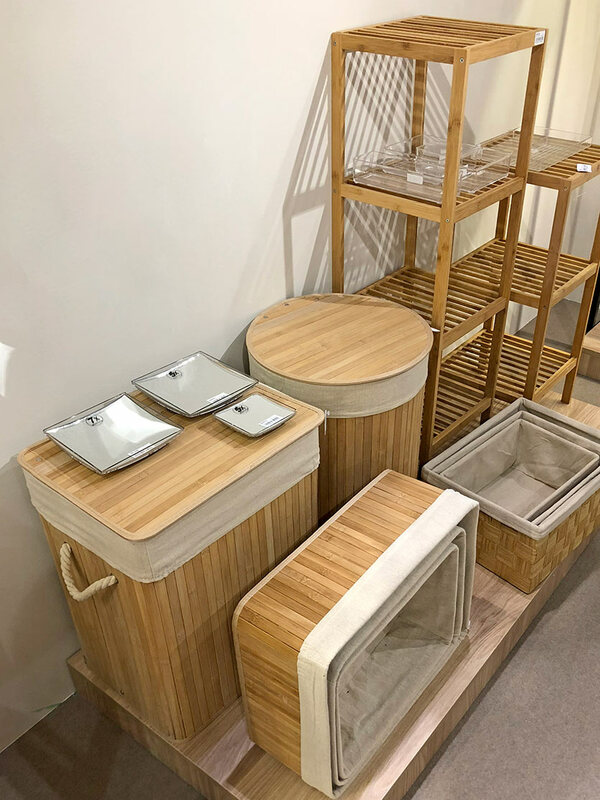 Some brands offered their pieces in several different metal finishes, which is something that we have been waiting for a while now. 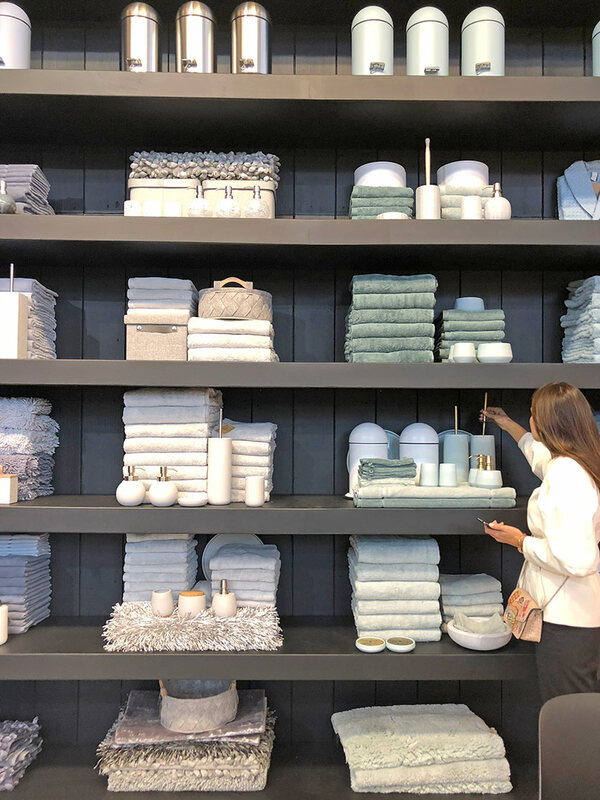 Actually, ever since we saw that chrome finish was fading away four years ago at the iSaloni fair, we have wanted to see brands go in that direction and propose it for their accessory pieces in bathrooms as well. 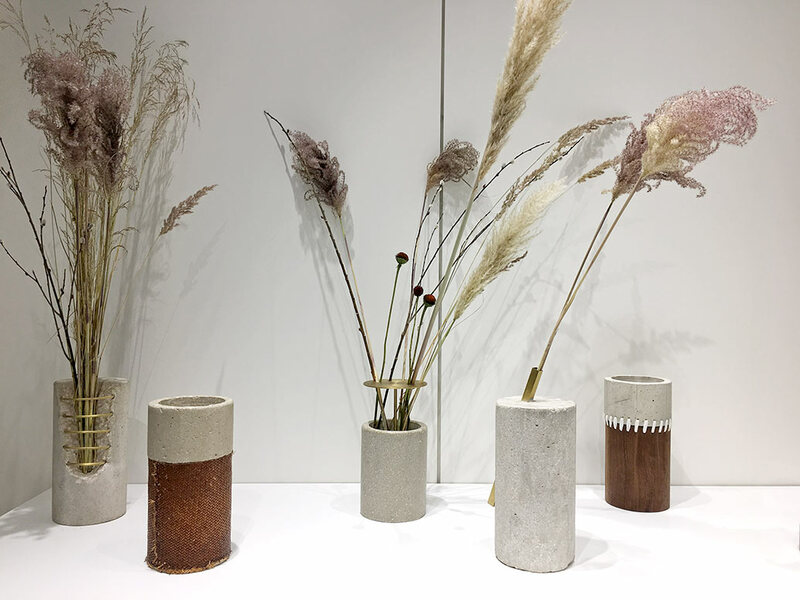 Last but not least, one of our crush for this past Maison et Objet in Paris, was the Dagny brand. 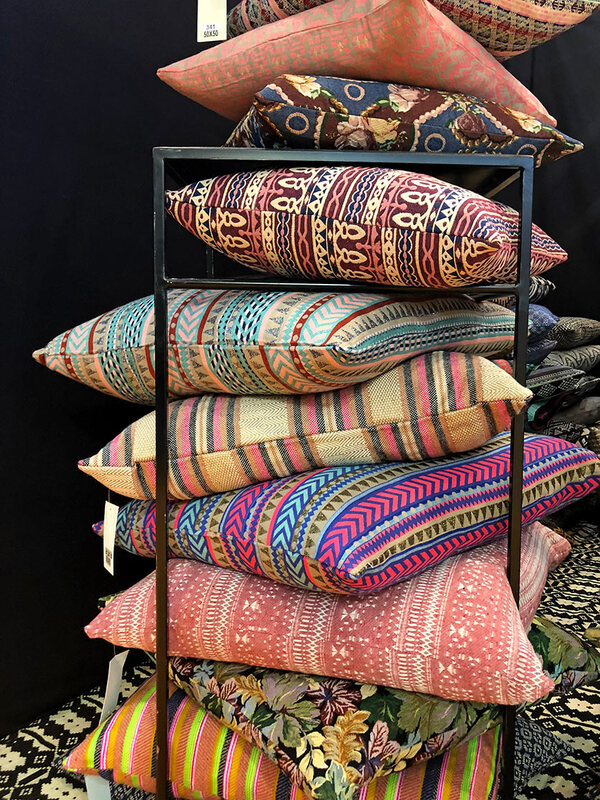 We fell in love with the charismatic, colorful and bold eclectic patterns that they offer for their pillowcases. It is more complicated than it seems to make several patterns work together in an interior. But with accent pillows from this brand, there is no way you can go wrong. The pillows all mix and match, and we could just see us specify them for our projects right then and there. 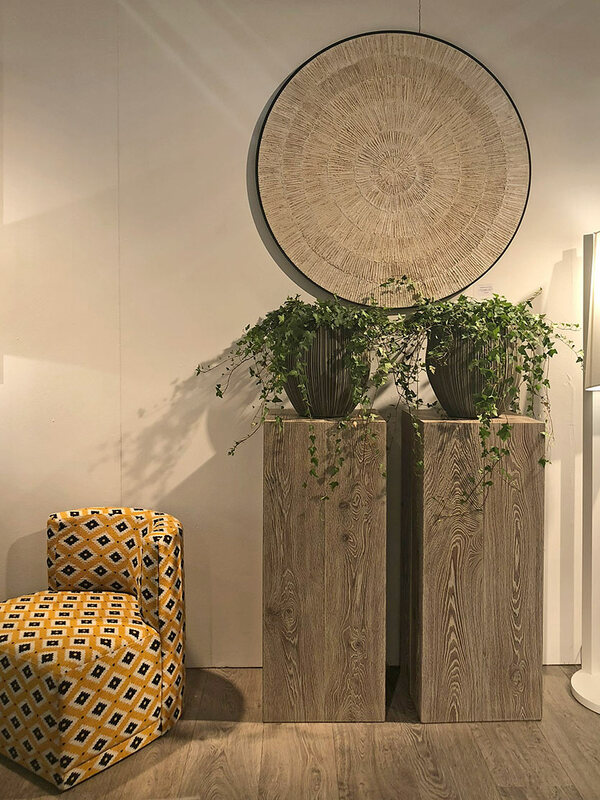 Hoping we gave you lots of good brands to take a look at, and a little inspiration for your next design projects. 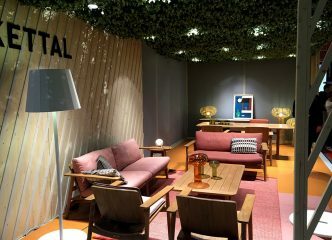 Maison et Objet is truly a huge resource when it comes to both. 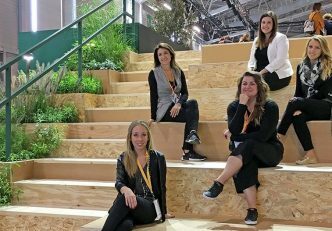 Not only do they host exceptional brands, but also and as you navigate the fair you see so many ideas and creative solutions for interior design projects. We recommend strongly that designers make the trip, you will not regret it, believe us! 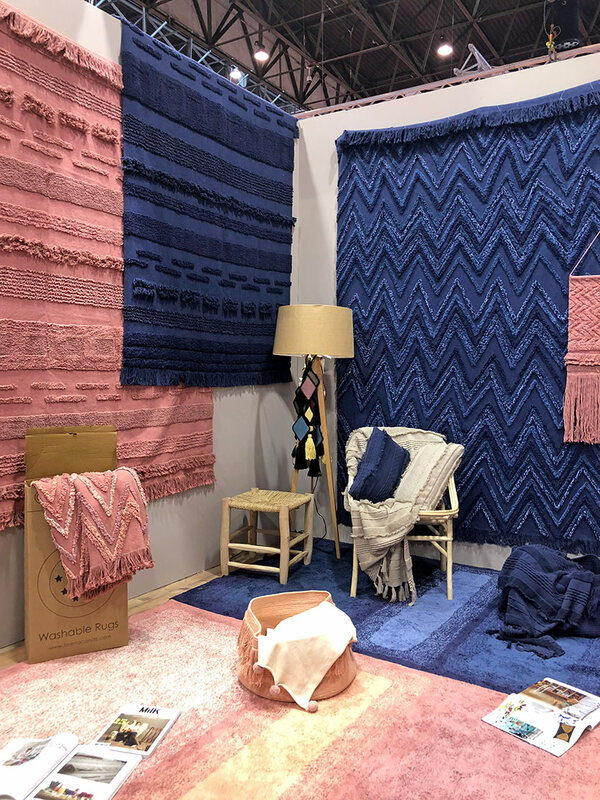 We are always thinking of next year’s fair and although we are still working on blog posts and reviewing all the goodies we got from this past year’s show, we cannot wait to see what’s coming for 2019! Celebrating our favorite green interiors on Earth Day.